Tickets are $40 for VBA members and $50 for non-members. Tastings included. 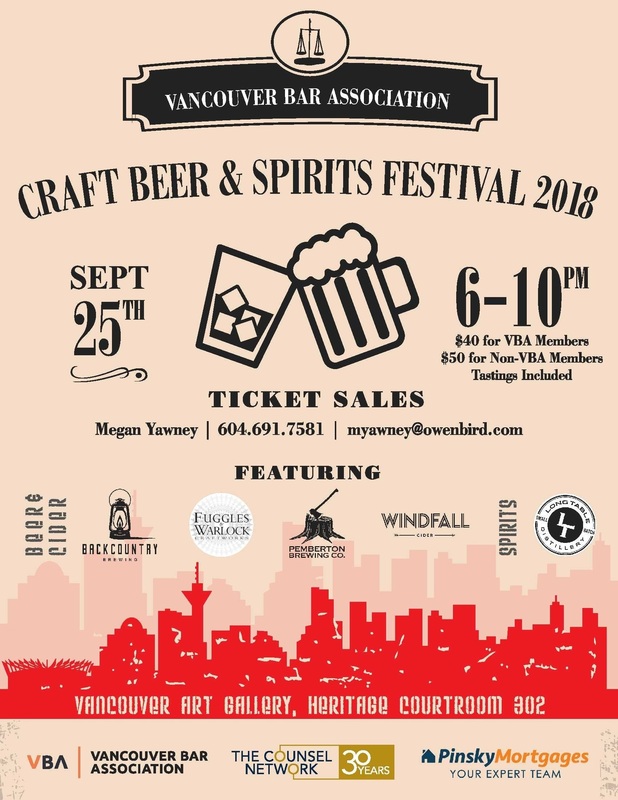 Tickets are available for purchase by credit card using the form below or by contacting Megan Yawney at myawney@owenbird.com (604.691.7581). Big thank-you to event sponsors Counsel Network and Pinsky Mortgages!